Flower Vector brushes from Obsidian Dawn Resources - Photoshop & GIMP Brushes, Tutorials, Images, Patterns, and more! We Rally for the Minimum and Shoot for Mediocrity! We have a little more than twice the minimum weekly post count so far. 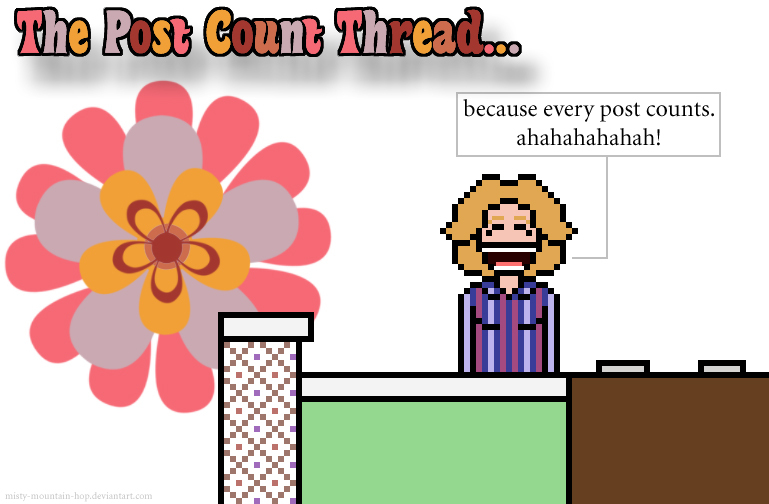 The post count is Lisa's duty this week. We've reached the minimum weekly post count and more. Thanks for always giving us updates Lisa! We have been doing great! You're welcome! I think it's helpful to know where we are post-count-wise before it's too late to up our participation for the week if necessary. And this week's post count will be brought to us by Lulu! That's quite the count, well done!